Maximum continuous length per color is 320 ft. This wire is rated 300-500 volts no UL rating. None tinned Hook Up Wire. 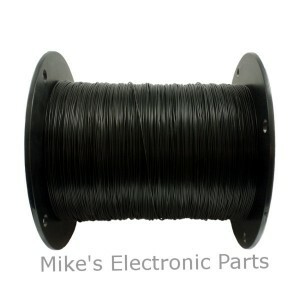 This wire can also be used for a Oatmeal Box Crystal radio or other coils with a low wire turn count due to it large overall diameter. Due the overall diameter 50 turns will cover around 4.5 inches of your coil form. May be good for Short Wave Coils the PVC insulation will give a even spacing between the coil windings. May also be ok wire for Loop Antennas and antenna wire. 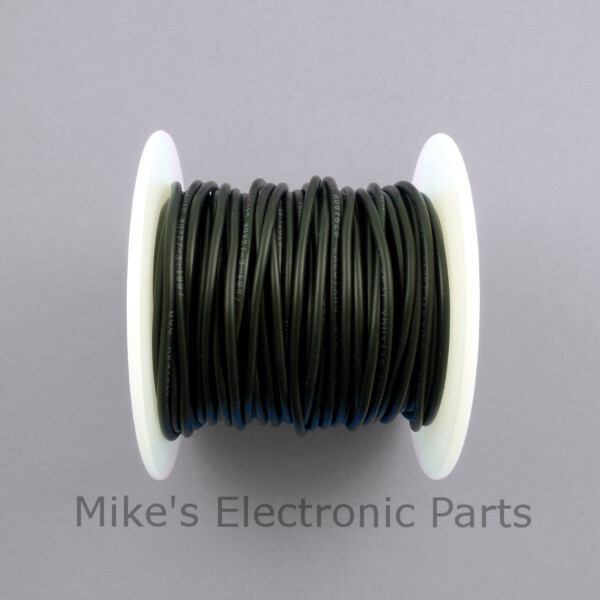 The overall diameter of the wire is .087.